On my work laptop, running Win7 Pro, all of my MS Office apps are all 2007 except for Visio 2003. When Visio was installed, for whatever reason the clipart was not installed. If I tried to use the clipart, it would start the install wizard, ask for a path to the install disk and eventually fail as I didn't have the disk. This is unfortunately is expected behavior. But, when I go to insert clipart from my other Office apps, they run into a problem due to Visio. 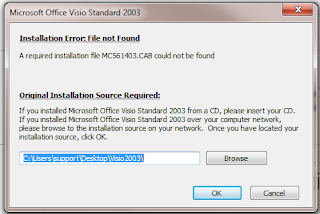 It goes through the same Microsoft Office Visio 2003 install wizard, and after failing, it will open the clipart that WAS installed for 2007. I search for solutions, but never found one. This works for some install loop type problems, but not my specific case. 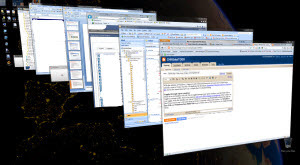 Want to use Outlook to access 2 or more email accounts? By adding additional Profiles to Outlook, you can avoid multiple email clients. The upside is that you can share your archive folders across your accounts. The downside is that you can only manage one account at a time. 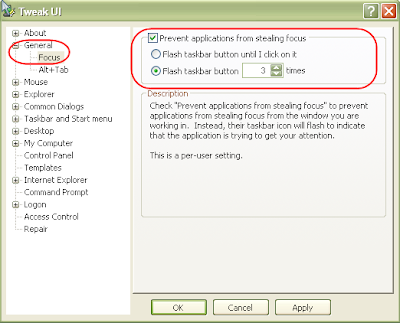 Open Control PanelClick MailClick the Show Profiles buttonClick the Add buttonProvide a Profile NameComplete the Account Setup Wizard Once created, you can select to be prompted for the Profile you want to open when starting Outlook or you can have it always open a specified Profile. Once you have more than one Profile, you can force Outlook to open to a specific Profile by configuring Shortcuts for each. I started getting this error, 1602, when attempting to complete the update request from Adobe for Acrobat Reader. I'm not a fan of PDF files, and use FoxIt in most cases as an alternate PDF Reader, but sometimes I still need Adobe Acrobat Reader. I discovered that the cause can easily be solved by deleting the 'ARM' folder within the Acrobat Reader program files. 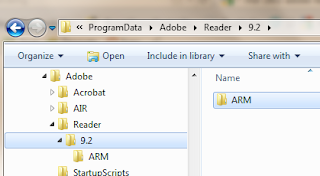 You can find the 'ARM' folder within \Adobe\Acrobat\x.x\ where x.x is the version number. The location of \Adobe\Acrobat\x.x\ will vary based on your version of Windows. For XP users it's contained within C:\Documents and Settings\All Users\Application Data\ while Vista and Win7 users will find it within C:\ProgramData\. Once you delete the 'ARM' folder, on the next update attempt everything should work as expected. 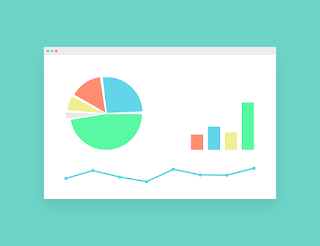 Go to Tools >> Forms >> Choose Form...From the Look In drop-down, select User Templates in File System.Select your template and click Open.Make any last minute changes, add/remove recipients and Send. Trouble getting the digital signature in a PDF to print? The solution is actually simpler than you might think. With your document open in Adobe Acrobat Reader, click File >> Print.When the Print dialog box opens, look for the "Comments and Forms:" drop-down below the Properties button, located in the upper-right.Click the drop-down and select "Document and Markups. "Now print. iTunes was unable to load provider data from Sync Services. Reconnect or try again later. If you're experiencing this problem, "iTunes was unable to load provider data from Sync Services. Reconnect or try again later," perhaps the fix I found will work for you too. At the time of the error, I was running iTunes 10.4.1.10 on Windows 7 Home Premium, 64bit OS. I had just starting using iTunes again to sync with my iPhone 4. It had been nearly 2 years since I had used it with an iPhone -- the original. Eject / disconnect your all iTunes devices (iPhones, iPods, etc)Close iTunesOpen Task Manager and kill the Sycservices processRename the "C:\Users\[your user name]\AppData\Roaming\Apple Computer\SyncServices" folder. Re-attach your deviceThis worked for me. Let me know how it worked for you. I recently downloaded 5 VMs from a cloud service my company is using, and 4 of them couldn't create a network connection. 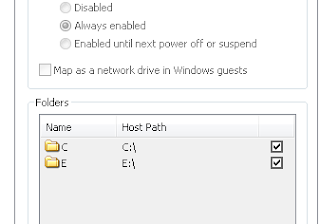 I discovered that the 4 that failed had named network connections for their network adapters, and that it required VMware Workstation to change (which I didn't have). Through some research and help from others I discovered that additional network adapters could be added to an existing VM by editing its *.vmx file with a text editor such as Notepad. 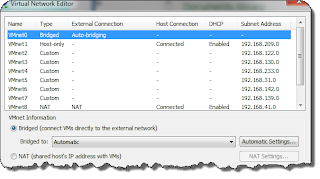 As noted in Step 2 of Jesin's Blog post, "Adding Custom Network Adapter in VMware Player", you can added a few lines to the end of the file to add the new network adapter. In Outlook 2003 you needed to go to Tools | Options >> Other >> Advanced Options >> Add-In Manager... and COM Add-ins...; Close and Re-open Outlook to remove various Add-ins. Unfortunately if you try that in Outlook 2007 you wont find the same choices. In Outlook 2007 go to Tools | Trust Center... >> Add-ins and you can see what Add-ins are installed, and of those which are active and which are inactive. 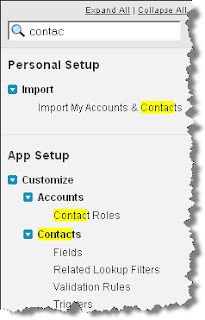 Select COM Add-ins in the Manage drop-down and click Go.... The COM Add-Ins screen will pop-up. Uncheck the Add-Ins you want to disable (check those you want to enable). When you are completed, click OK. Close and Re-open Outlook for the changes to take affect. Once you're satisfied that by disabling your Add-in, there was no negative effect, you can return to delete the Add-ins. Go back to Tools | Trust Center... >> Add-ins >> COM Add-ins (Go...). From the Comm Add-Ins screen, select the Add-in you want to delete and click the Remove button. With the high cost of Photoshop, I don't have it on every computer I use. This can be an inconvenience when I simply want to view some (Photoshop) PSD files. With the Free File Viewer utility, I can now preview PSDs without having Photoshop installed. Free File Viewer will also allow you to view many other file formats including Word, Excel, PowerPoint, DivX, and FLV. One note of caution, during the install you will be offered several other software "deals." It's likely you will want to decline each of those. With the release of Windows 7, there are new keyboard shortcuts to learn (as I'm sure some actually came in Vista). One day I'll duplicate the shortcuts cheatsheet I had created for Windows XP, but in the mean time, here are a couple that I've started using. Power off (disconnect power).Press and hold the touch-screen with your finger.A message appears, telling you to continue to hold if you want to get to the Special Options. Continue to hold -- it takes a while.When you finally reach Special Options, release your finger.Select Restore Factory Settings.Confirm OK.
Is LastPass and othe software secure? With the recent security scare with LastPass, some may fear that it's less secure than RoboForm or other password managers. In fact though we have no evidence that indicates it's less secure. Even if data is compromised, it still doesn't mean it was less secure -- it just indicates that it was the target of an attack. Every time we install software on our computers, we're making an assumption that the software is secure. Unfortunately we can never know if software is truly secure; we only know of reports that indicate software has been tested and no security issues have been detected. So the real decision on security should not be one based security tests. Rather you need to ask these questions. Is it in the companies best interest to take security seriously and devote resources to it (and have they)? What's the likeliness that they would be a target of attacks? If attacked, are they prepared to respond? When I installed Office 2007, I was a bit disappointed to see a new Microsoft app installed without me realizing -- OneNote. It put OneNote in the system tray, with it running all the time. Further, it seemed very difficult to not have it auto-start and/or uninstall. 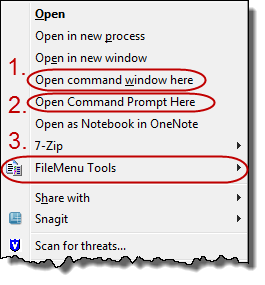 I eventually explored OneNote a bit, and found one feature in particular I really like. Simply hit Win+S and you get a cursor to capture a region of the screen. The screen capture is saved to the clipboard, making it easy to paste into whatever application you may have open. You also have the option to have the screen capture save to a new unfiled OneNote, and either display the image or keep the focus on the current application. Other OneNote features include an audio recorder. You can also change the default settings for when you click the OneNote icon, including clicking to open the screen capture function.